Written by alessandro on December 23, 2017 . Posted in All Stories, Curiosity, Discover Rome. You can find a precious and charming place at the lake at Eur. Here, every Spring. the Cherry Blossoms bloom, and everything becomes pink. The blossoming of these Cherry Blossoms ( Sakura), is what we are referring to, and like those seen in Japan. it is ideal for observing this beautiful pink flower. The flowering observation event is called Hanami and it is a traditional Japanese rite, connected with the pleasure of observing the beauty of these trees in bloom, above all these Japanese Cherry Blossoms. For those of you who cannot go to Japan this year, and don’t be ashamed to raise your hands, there are many of us, you should go and make yourself happy with a little piece of Japan in Rome. 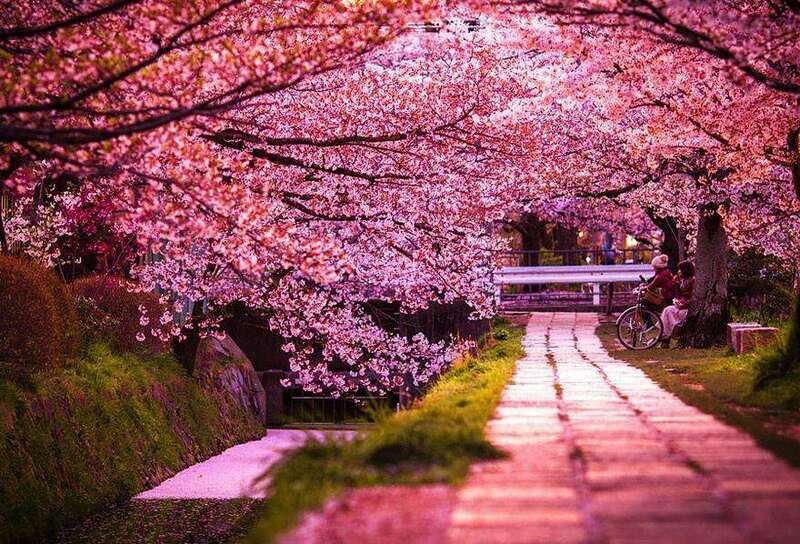 You will find 2500 Sakura trees, donated by the city of Japan which were planted in inauguration of the Walk of Japan in 1959. It’s a walk you can still do, which will take you through twists and turns inside the lake of Eur. One of the activities you can do here, other than the typical walk , is to recreate a Japanese atmosphere. 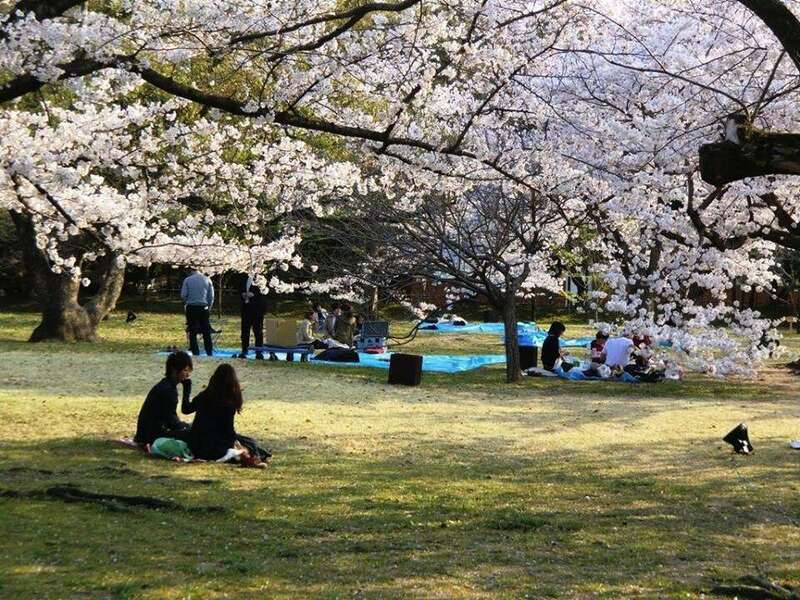 To eat under the Sakura in bloom is a real, true tradition and here you can meet many Japanese people, that for them, this is the occasion to feel at home. You can see them having a picnic at the lake at Eur, and if you are lucky, you will see them dressed in traditional holiday clothing, the Kimono or Yukata. Getting to the lake at Eur is not difficult at all. Just take the Metropolitan B and get off at either the Palasport or Eur Fermi stops. Walk for a few minutes and almost immediately you will see the cherry trees in bloom. Send us a photo under one of the beautiful pink trees! 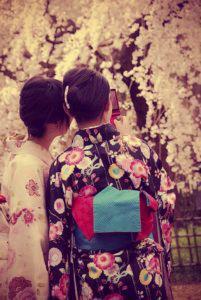 All of the photos are from the Facebook page Hanami- Lake EUR of Rome.